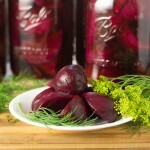 I have been excited to write about this dill pickled beets recipe for a long time. Dill pickled beets are not only a family favorite tied to great memories, but also a fourth generation family recipe originally crafted by my grandma and great grandma over 50 years ago. Great recipes tend to stand the test of time and this one is a keeper! I look forward to making these every summer. As a matter of fact, the solitary reason I even grow beets in my garden is to dine on these delectable delights! They are sweet, tangy, and have the bright punch of dill! Though they make a great side dish, I generally find myself eating them as a snack! My stepson even enjoyed these when he was two years old! If you have never tried canning produce before I HIGHLY recommend you try it! There is no better way to prolong summer’s bounty than to preserve the flavors you love for enjoyment during the long dreary winter months! Plus, in my opinion, there is no better way to stay connected to the ancestral roots of cooking than to master the preservation methods used by our grandparents! To start with you will need to purchase a home canning kit. This will include important items such as glass jars and lids, a jar grabber, and a canning pot. Without these you cannot can. Ball is likely the most reputable name in canning & preservation which is why I highly recommend their canning kit. You also can’t go wrong by purchasing their Complete Book of Home Preserving. 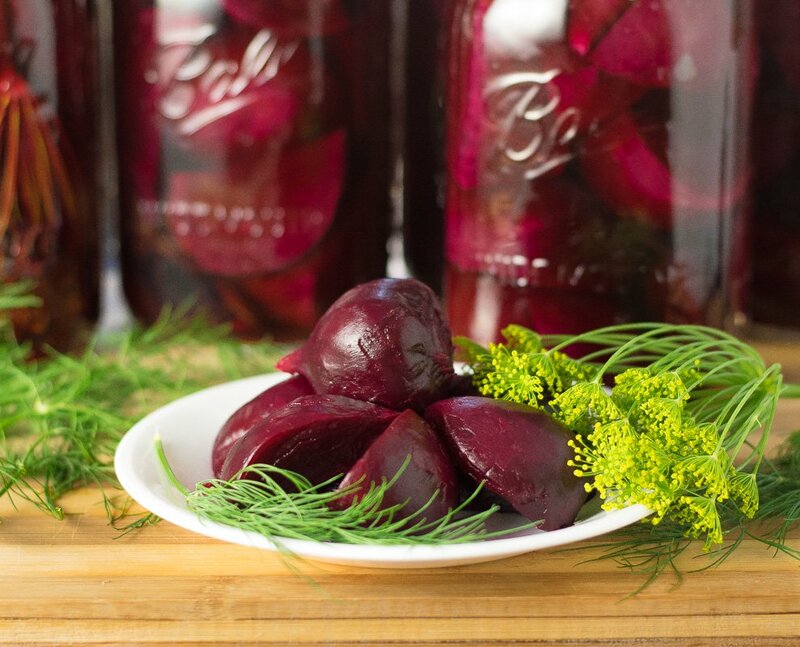 These dill pickled beets are not only a family favorite, but also a fourth generation family recipe originally created by my grandma and great grandma over 50 years ago. Great recipes stand the test of time and this one is a keeper! Leaving 1” of stem and all of roots intact, boil the beets for ~1 hour, or until easily pierced with a knife. Remove beets and let cool enough to handle. Boil sugar, salt, water and vinegar in pot. Remove outer skin and quarter beets (or cut into manageable sizes) and place in clean quart jars along with 1 head of dill. Pour over brine solution, add lids, and process in water bath for 30 minutes if canning, otherwise place in refrigerator and let sit for a few days before enjoying. Yields 2-4 quarts, depending on how packed the beets are. 30 minute processing time comes from similar USDA approved recipe, however it is important to note this is not a USDA tested or approved recipe. To guarantee safe processing place jars in refrigerator rather than canning for long term storage. 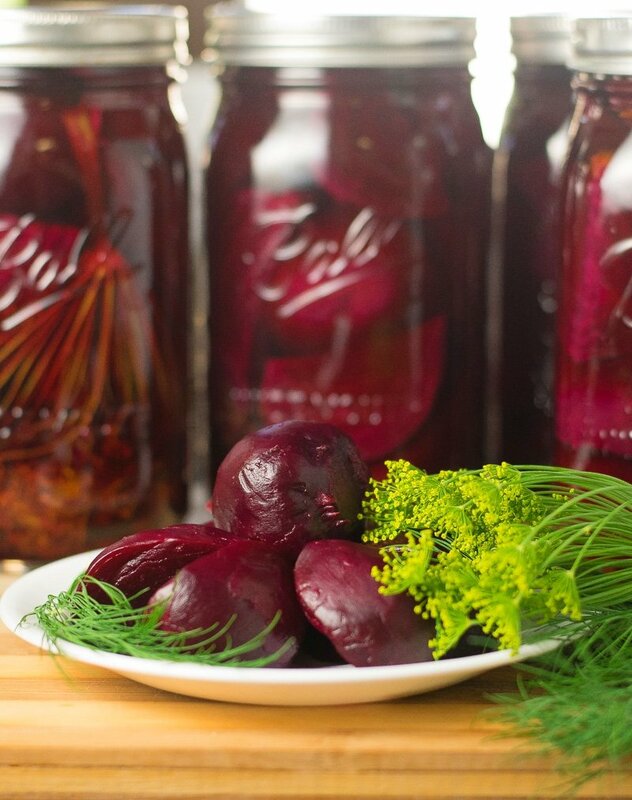 If you enjoyed reading my dill pickled beets for canning or refrigeration recipe then you should probably like me on Facebook and follow me on Pinterest too. That’s what I would do at least, because if you don’t get to know me but you still use my recipe it is kind of like taking candy from a stranger, and your mom taught you not to do that. Don’t disobey your mom, subscribe to Fox Valley Foodie today. This looks so great, I love pickled beets. They have such a great color and it’s made very obvious in the pictures you posted! I can’t wait to try this recipe at home. Thank you for sharing! I grew up in a small town called Fox Valley in Saskatchewan Canada. 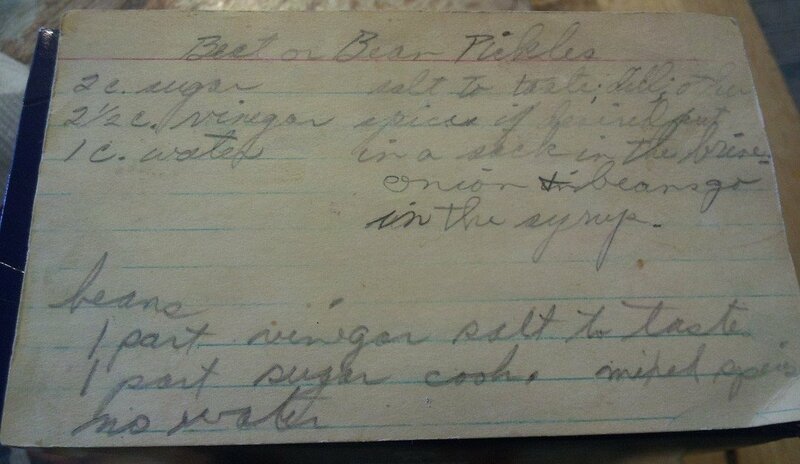 Love the name and the dill beet recipe. Thank you in advance for the down home delights, can’t wait to try them! this sounds like the ones i made years ago. what is the pickling spice for????? Do you mean pickling salt? It is a salt without iodine or anti-caking agents.